Here’s a 100% FREE vector illustrator GUI for 38mm and 42mm Apple Watch. 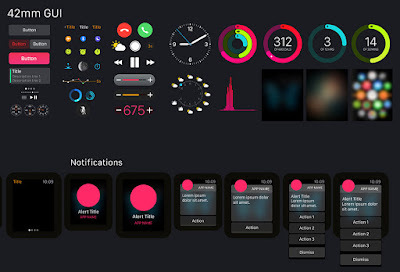 This is a great resource to get started with your next Apple Watch UI Design. Also, the font used in the GUI is a converted version of San Francisco, Apple’s new system font, or you can also change all fonts to Roboto which somehow is very similar. 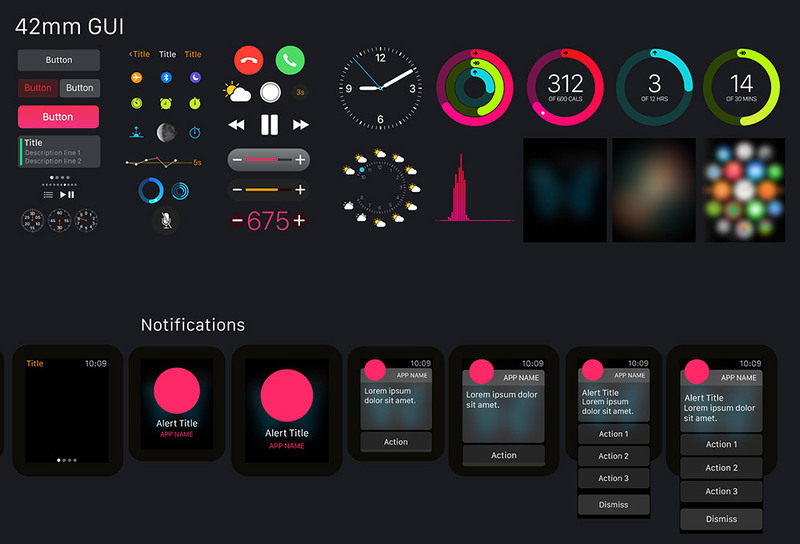 Further, the details of the UI are unbelievable, so ahead and grab this freebie created by Codemotion.